If you fancy being able to play Steam games on your PlayStation 4 then you might be interested in a new Linux patch which has been released via GitHub and can be seen in action in the video below. The home-brew code allows you to now enjoy PC games on Sony’s PS4 console thanks to the x86 processors that Sony has used to power PS4 systems. Although don’t expect to be able to do it easily you will need to install a number of different packages to make sure everything is included on the console. But once successfully installed you will then be able to enjoy playing PC games on your PS4 console. Check out the video below to learn more about what is required and it’s final result. 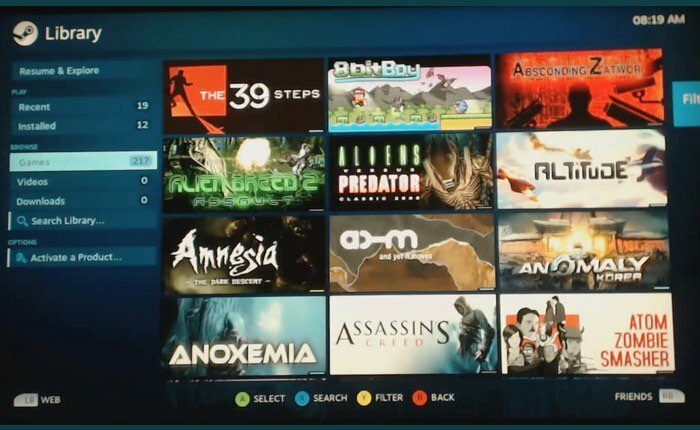 OsirisX recently demonstrated Steam running on a PS4 thanks to a combination of a jailbreak, Arch Linux and some software libraries from Fail0verflow. These are some trivial patches to libdrm, mesa, and xf86-video-ati that are required to use 3D acceleration with the PlayStation 4 APU (Liverpool). They mostly just add the PCI ID required and a new chip type with the correct settings. LLVM could be patched too, but we don’t really know what the optimal code generation settings are, so for now it’s easier to just pretend it’s Bonaire and leave LLVM alone. Since the patches are trivial, it doesn’t make much sense to fork all the original source repos, hence the standalone diffs. Our intent is to get these upstreamed once performance and functionality are better verified.